Whether he's hanging out with Mickey and Goofy, going on an adventure with Scrooge or simply trying to wrangle Huey, Dewey and Louie, Donald Duck has a pretty exciting life. It's never too early to start your baby on an adventure! 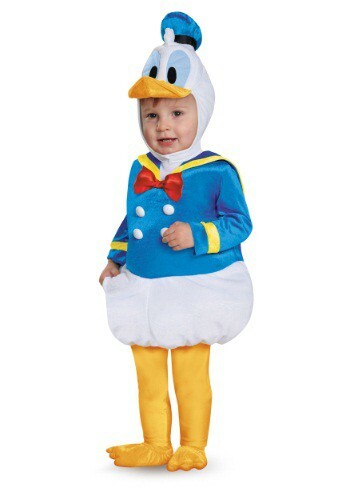 This Donald Duck Prestige Infant Costume lets your baby look just like the Disney character, except even more adorable! 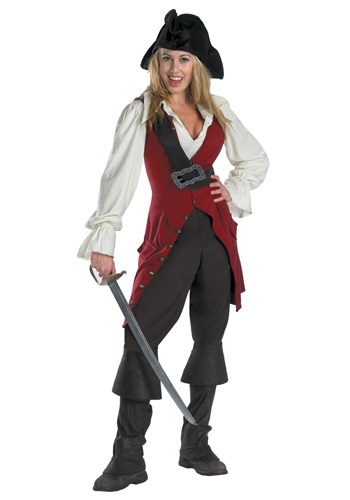 If you’re looking to become a sassy pirate, this Elizabeth Swann Teen Pirate Costume is what you want. Look for a sword in our accessories section and you’ll be ready to set sail with Will and Jack on their next adventure at world's end! Mabel Pines has got life figured out. When she's not busy bedazzling her face, she's honing her grappling hook skills or pigging out on some Smile Dip. And fashion sense? Forget about it! Who else could pull off the whole sweater look? Any girl can give it a try with this Gravity Falls costume, but you need to have a zany sense of humor and an unquenchable thirst for adventure in order to wear it! 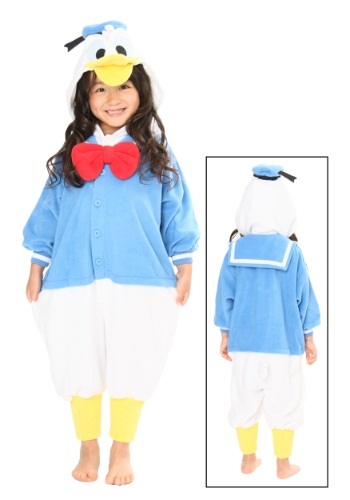 Bring the magic of Disney home for your child with this great Daisy Duck pajama costume. She'll feel so warm and cozy when ever she wants with this cleverly cute outfit. Did you know that in some parts of the world Donald Duck is more popular and well known than Mickey Mouse? It's true! Donald has always been trying to steal the spotlight from Mickey ever since the old days like in the classic short cartoon, "The Band Concert." Around here we totally love Donald, because he's quick to express his ill temper, and his antics with Chip and Dale are especially amusing. We can't guarantee your little one will play out some hilarious gags with other anthropomorphic animals while wearing this pajama costume, but it COULD happen! Maybe in the Disney Pixar movie, it was hard to keep track of the little guy, but when your little baby dresses up in this Prestige Infant Nemo Costume, it'll be impossible to take your eyes off him! From the goofy cartoon eyes to the little fins on the side, this outfit is designed to make your little one an irresistible little fishy. 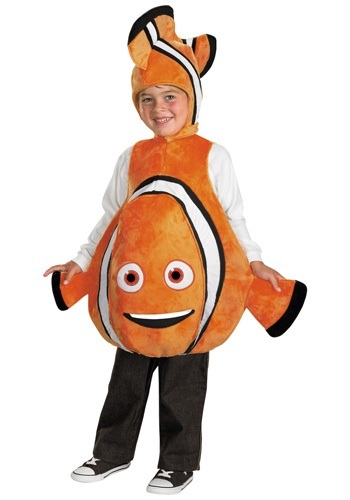 If your child is a fan of the Finding Nemo movie, they'll love dressing up in this Nemo costume! 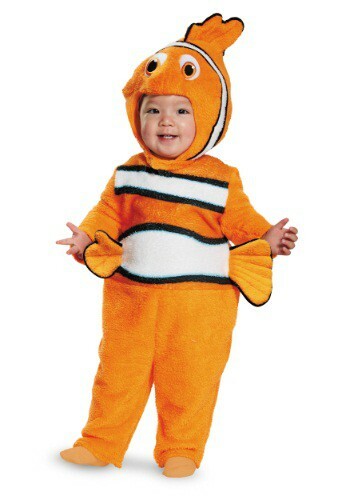 Get this soft and cuddly Nemo costume for your toddler.